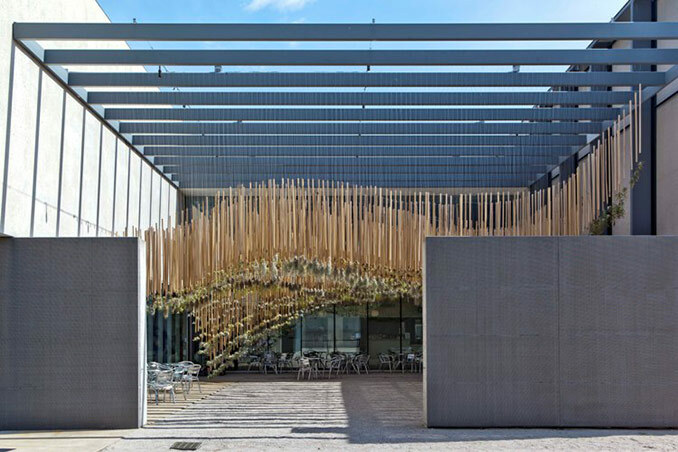 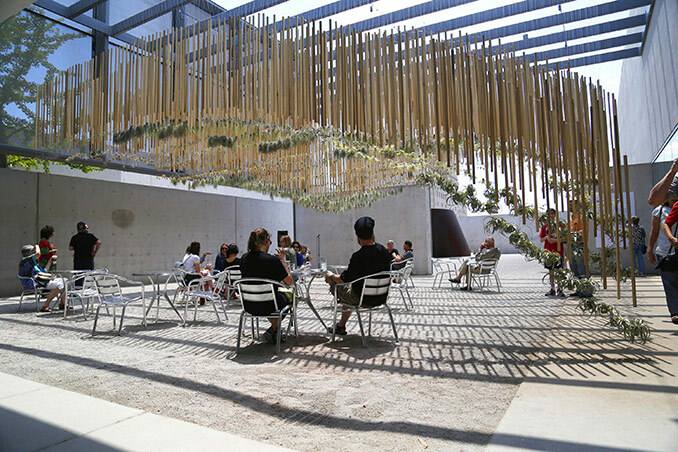 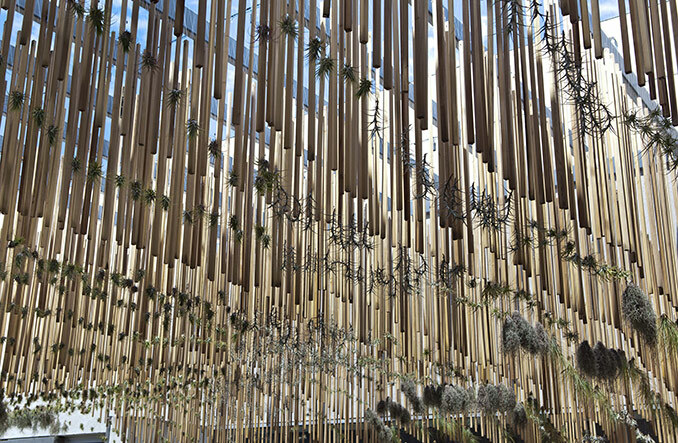 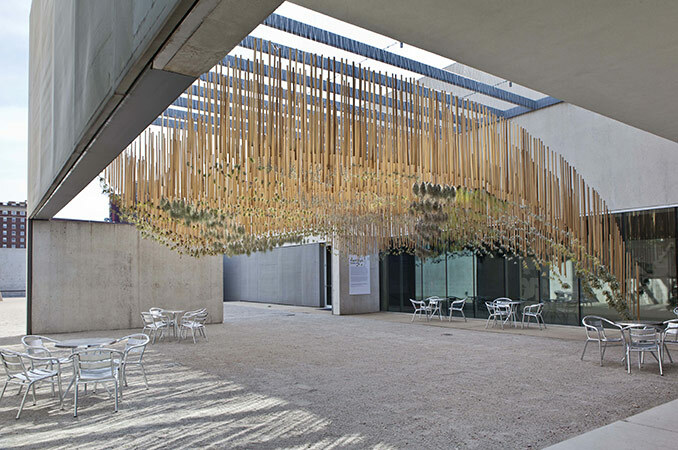 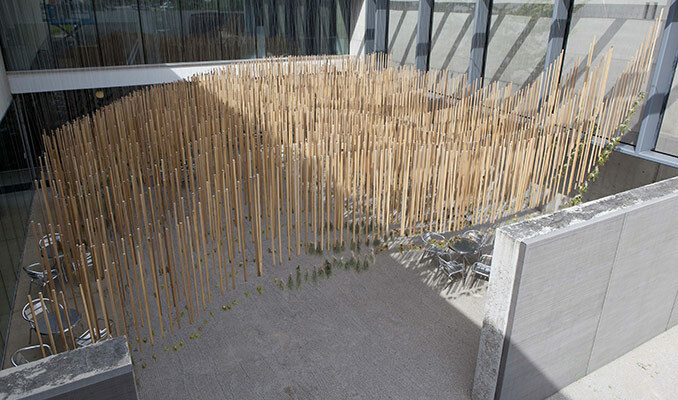 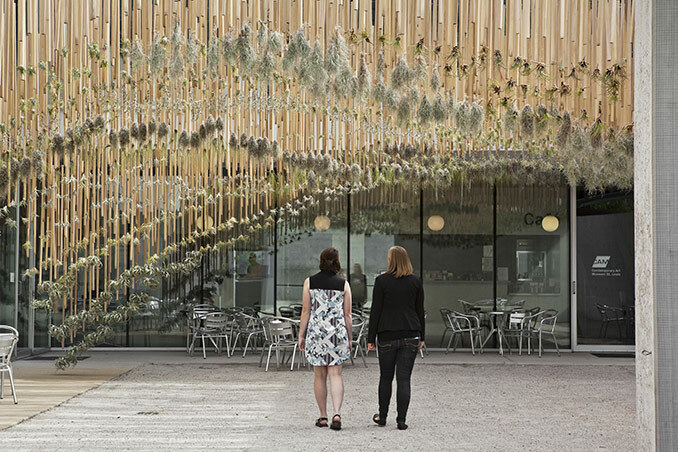 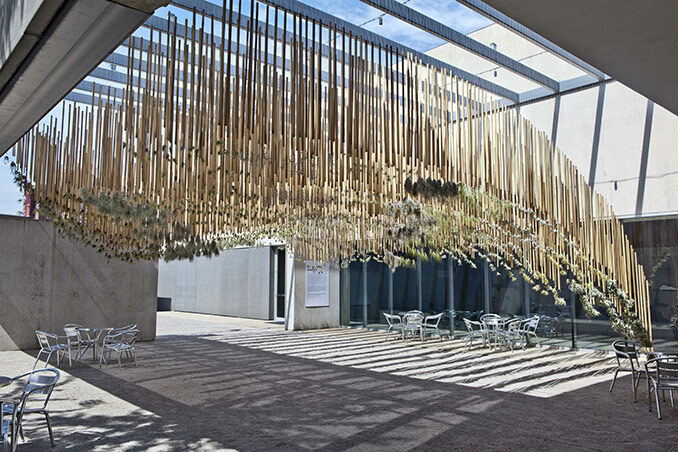 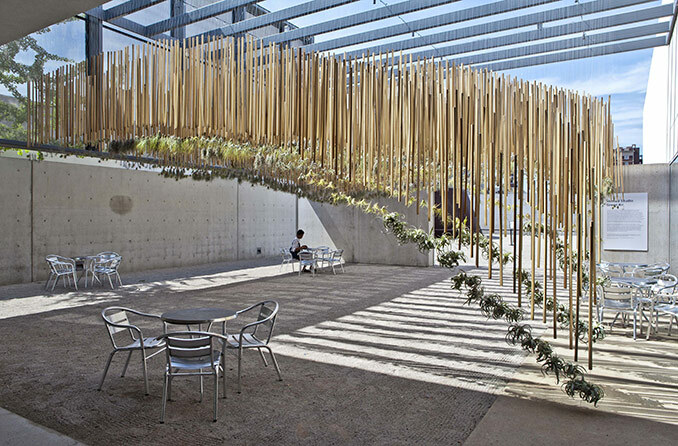 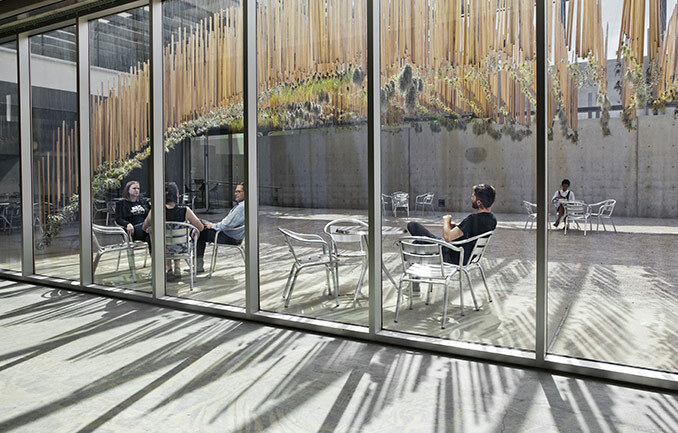 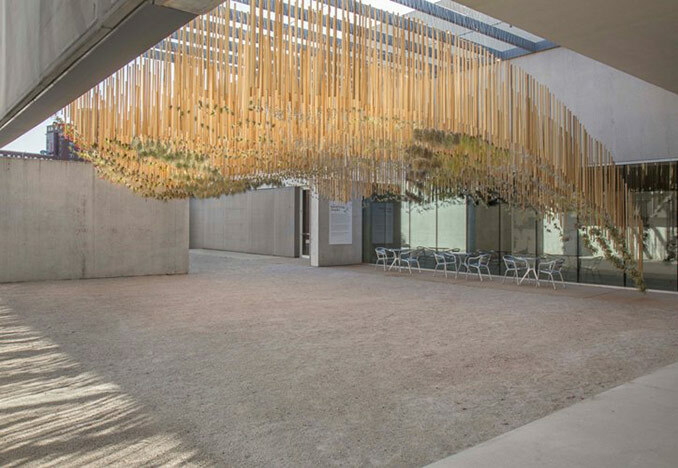 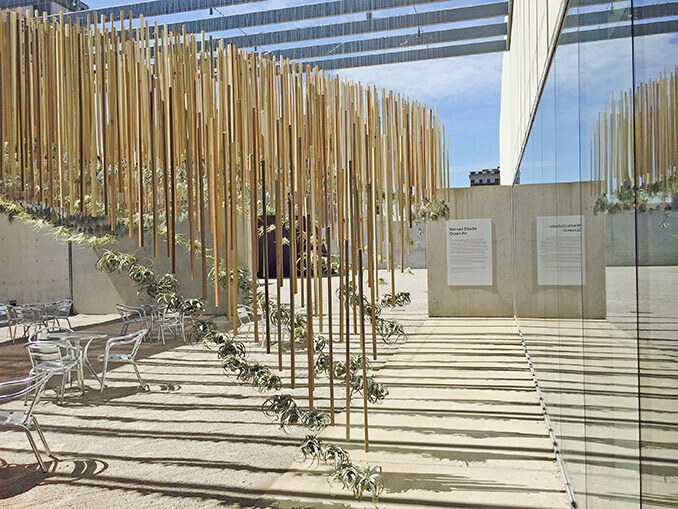 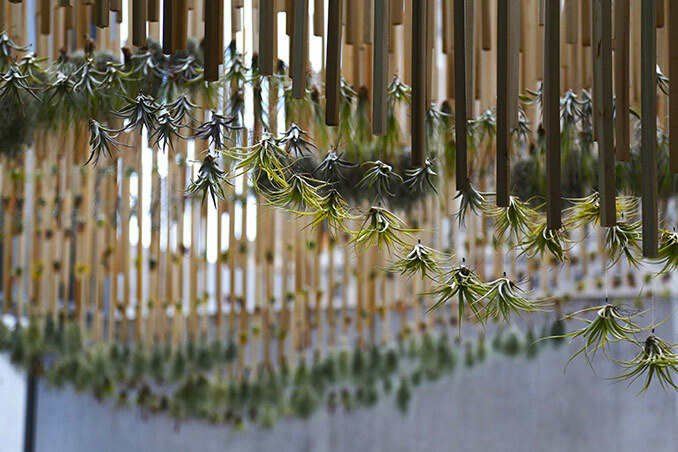 Green Air is a space in and of itself, a systematic yet delicate arrangement of Tillandsias,hanging from thousands of slices of repurposed wood, suspended from the courtyard’s steel canopy, moving as a supraorganism. 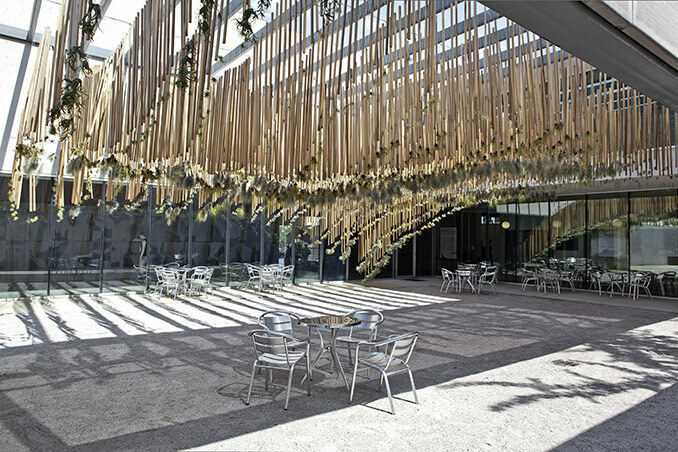 The installation has a powerful transformational impact on the courtyard at the heart of the Museum, as the sculpture hangs above the heads of visitors, swaying organically in the breeze, and sketching linear shadows on the courtyard’s ground plane. 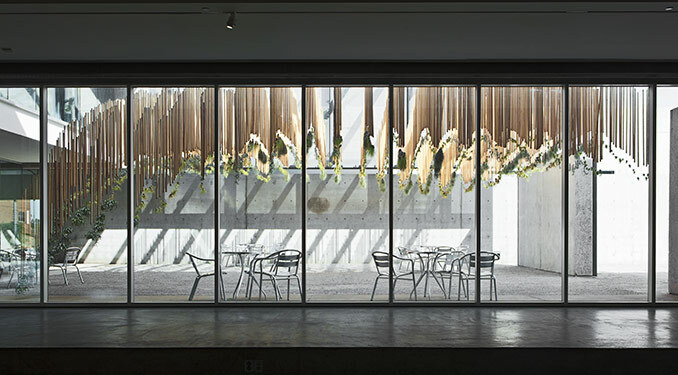 Photographers | David Johnson, Alise O’Brien, Sarah Rothberg.